What is service of process?Delivery of a writ, summons, or other legal papers to the person required to respond to them. 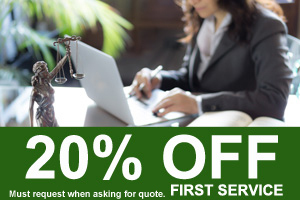 Why hire a private process server? Your options are to choose the Sheriff or a private process server. However, in some areas the Sheriff no longer accepts out of state process. In these situations, you must hire a private process server. We are very proactive and maintain communication with our clients and make more attempts and more timely than the Sheriff is able to. Are your servers licensed? Yes, if the area the documents are being served in requires the server to be licensed. We serve Nationwide and Puerto Rico and each state has specific rules and regulations. What are your prices? Our prices are determined by location, complexity and the time frame the documents need to be served by while remaining competitive. Please complete our Quote Request online and your pricing will be emailed to you. If you are more comfortable talking to us, please call us at 407-327-9572. What education is required of your servers? Depending on the area the server is in the education requirements may vary. Our local servers have mandated classes they attend to be licensed. In addition, some servers take a Continuing Education Course through FAPPS to become an (AFPS) Accredited FAPPS Process Server. What types of papers do you serve? We serve all State and Federal documents that are allowed by law in the area we are serving in. The common ones include: Summons, Subpoenas, Witness Subpoenas, Subpoena Duces Tecum, Writs of Garnishment, Evictions, Dissolution of Marriage, Petition to Determine Paternity, Order to Show Cause, Rule to Show Cause, etc. How fast will my papers be served? We have three levels of service to choose from which determines how fast the first attempt is made. Routine – 1st attempt within 3 to 5 days depending on the server’s work load, Rush – 1stattempt is made within 24 hours of the server receiving the documents, Same Day Rush – the 1st attempt is made the same day the server receives the documents. Are you an investigation agency? Yes we are. Florida License #A2300008. Reach out to us with your investigative needs. How do you keep track of all your jobs? We use software designed exclusively for the process serving industry which allows us to job trade with other process serving companies throughout the United States. It also allows our local servers to input their attempts real time. Are you members of any organizations? We are proud members of FAPPS, NAPPS and FALI. How many servers do you have? Locally we have 20 servers and have a multitude of servers in our Nationwide network. How secure is your website? Our web server is secured with HTTPS 1024-bit encryption. Do you provide mobile notary services? 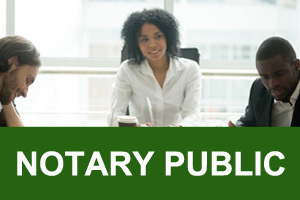 Yes, we provide mobile Public Notary services. Can you handle large volumes of work? Absolutely. Please contact Bonnie Moore directly at 407-493-8259 for exclusive pricing.